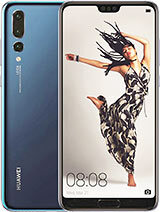 Huawei P20 Pro specifications have been released and it comes with 6GB RAM along side 6.1 inches display. The smartphone has not be released yet, it will be out next month April. Huawei P20 Pro is a nice phone with cool features, the phone also comes with AMOLED capacitive touchscreen, latest Android 8 Oreo update and non-removable 4000mAh battery. Here is a review on the new Huawei P20 Pro smartphone with images, pictures, release date and price in EUR.